Thank you for your visit! / Merci pour votre visite! at the trade show "Maison & Objet" in Paris (January 23-27, 2015). If you have any questions or need additional information, please feel free to contact us. We will be happy to inform you. 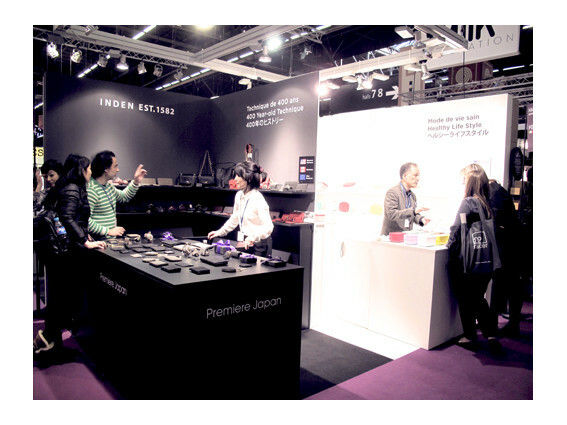 au salon "Maison & Objet" (du 23 au 27 janvier, 2015). sur le marché Européen, en construisant une relation de confiance avec ces sociétés. From kitchen to table, ‘EAtoCO’ products are innovative and functional yet stylish enough to be used at the dining table. With versatility in mind, the products are designed to tackle many cooking situations with ease while providing visually eye-catching presentation at the table. Whether it’s the colorful ‘Hiranabe’ shallow pans or the ‘Oros’ grater that elevates the acting of adding fresh condiments, ‘EAtoCO’ redefines cooking and dining as a seamless culinary experience.